Brett Bara was Marly’s guess on a special episode of the podcast this week! Brett Bara is the founder of Brooklyn Craft Company and Brooklyn Craft Camp. With a professional background in print publishing, Brett was the founding editor-in-chief of Crochet Today magazine and is the author of several craft books. She is the host of the PBS television series Knit and Crochet Now and appears regularly on camera, including appearances on The Martha Stewart Show and more. She is a contributor to Design Sponge in addition to blogging about DIY, decor, crafts and food on her own blog, brettbara.com. 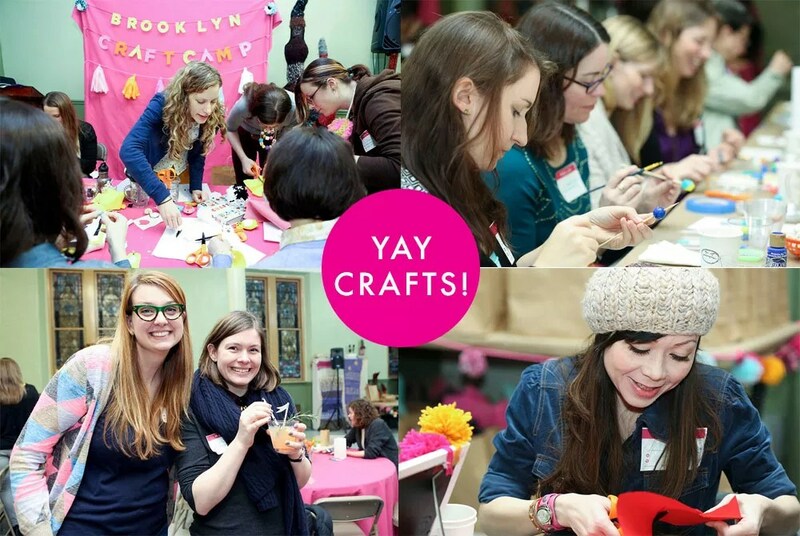 In 2012, recognizing a need for fun, stylish and accessible crafts instruction, Brett created Brooklyn Craft Camp, a one-day event that combined crafts classes with good food, great music, cool people and fun. 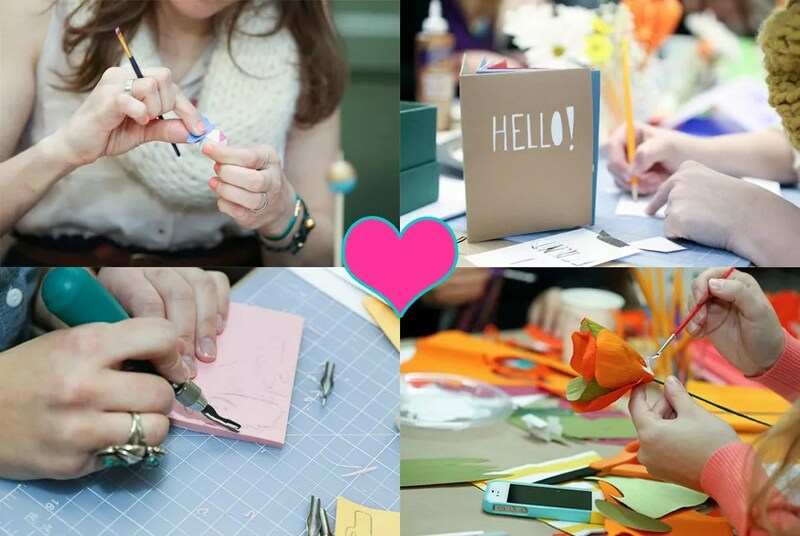 The event was a huge success that has spawned a new initiative, Brooklyn Craft Company: a brick-and-mortar space in Brooklyn, New York which will offer modern crafty and DIY classes for adults in a fun, social setting. Who doesn’t love a crafty party day?? To prepare for their launch, Brooklyn Craft Company is fundraising via Indiegogo. Please visit their campaign page to make a contribution and help them get off the ground – and score some great crafty rewards in the process! C’mon crafty folks, lets send some awesome support Brooklyn Craft Company’s way! You can also follow the fun on Brooklyn Craft Company’s Facebook and Twitter pages! Links to follow Brett on: Facebook, Twitter, Craftsy, Knit and Crochet Now, and find her books here. Also, gratuitous picture of Fifi (for you devotees)! Brett was so kind as to have a super fun giveaway to one of our lucky commenters! You can leave a comment with Brett’s key word, and be entered to win a Brooklyn Craft Company Tote Bag as well as a free Craftsy class! The lucky winner will be announced on next week’s special show Thursday with The Crochet Dude himself, Drew Emborsky! Brett Bara is a very crafty lady! She is involved in some interesting projects. Loved the show! I love Brett Bara and all of her crafty ideas! I hope the Brooklyn Craft Co becomes a huge success. Marly, I seem to be repeating myself, but thank you for allowing me to get to know all kinds of crafty people, including Miss Brett Bara. I love the concept of her project, Brooklyn Craft Company, hopefully, someday I will make it to NYC and get to visit! Love Brett Bara! What a wonderful, crafty idea to start the Brooklyn craft company! Wish i lived in NYC to participate! As a former Brooklynite, listening to Brett talk about the Brooklyn Craft Company tugged at my heart strings. I can appreciate the benefits that the BCC will provide for folks in the boroughs, especially Brooklyn, to be crafty. It can be harder to round up the supplies one needs there, not for lack of having them available, but rather for the amount of time it takes to travel from place to place. I wish Brett and all the folks who partake in this endeavor a lot of luck. Thanks for another great show. It is always great to hear what Brett Bara is up to, she is so crafty! I love that she is offering tea with Fifi as a ‘gift’ for making a donation. That cat is a superstar! The Brooklyn Craft Company is a great idea and I can’t wait for it to get big enough to expand to other big cities!!! Thanks for sharing this great new adventure from Brett! Looking forward to the next show! I’m suddenly very envious of all the crafty people living in and near Brooklyn!!! What a great idea! Bravo and I wish Brett loads of success in this new adventure! Listening to crafty podcasts like this one is so inspiring. Also love, love, love taking classes online at Crafty.com!!!! What a fantastic adventure and hope there’s a Silicon Valley Craft Company someday… crafty community is the best! I love listening to your Podcast Marly – it’s a good background to all our craft endeavors. 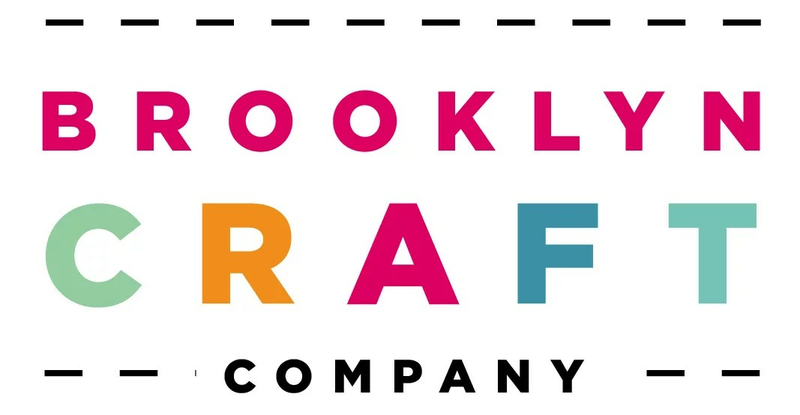 Congratulations to Brett Bara on the launch of The Brooklyn Craft Company! I wish that I lived near Brooklyn so that I could join in on all of the crafty fun. I wish I lived in Brooklyn and could take advantage of the Crafty Camp! I love the idea of getting crafty people together. Creativity sparks ideas for all kinds of things. Way to go to think outside the box and get a new business going. Just found your show and just love it. I’m learning so much about whats going on in the crafty world. Another awesome podcast! I have been crafty my whole life, I have tried many crafts but there are still plenty left to try! I would love to have place to go to learn new crafts! I wish there was something like what Brett is creating in NY here in Colorado! Hi Marly, Thanks for another interesting episode. I listen on the drive to work so was glad to have an extra episode this week. I’m a fan of Brett’s and watch Knit and Crochet Now! all the time. I wish her much success with this new venture. I think it’s a great idea! There are so many people who want to expand their crafty skills. I love Brett and watch Knit and Crochet Now! She is such a crafty lady. I am also looking ways to expand my skills. Thanks for a wonderful interview with crafty icon Brett Bara! She’s a great host on Knit and Crochet Now, and I wish her great success with the Brooklyn Craft Company adventure!